We believe that magical things happen for children and their parents when they reconnect with nature. At The Childhood Project (formerly Buzzy Kids), we guide children into experiences that nurture their connection to nature and help parents foster in their kids, the personal and interpersonal skills that will serve them for a lifetime. We offer parent-child nature based programs, field trips and community events that connect children, parents, caregivers and entire families to themselves, each other and the natural world. Children playing outside to grow inside. Imagina is a parent-child, nature-based, program that meets twice a week during a fall and spring semester. Families attending our program believe that young children learn best through direct experience with the natural world. Our goal is to tap into young children’s sense of wonder about nature while supporting their emotional, social and physical development. Facilitator’s roles are as a mentors and guides, actively modeling curiosity and engagement in nature while allowing children’s interest to lead the day. The program is designed to offer school-aged children a space for unstructured outdoor play, where they can interact with the natural world, get messy, climb trees, garden and practice mindfulness and yoga. The program encourages an appreciation and respect for nature, fosters creativity, and encourages imagination. 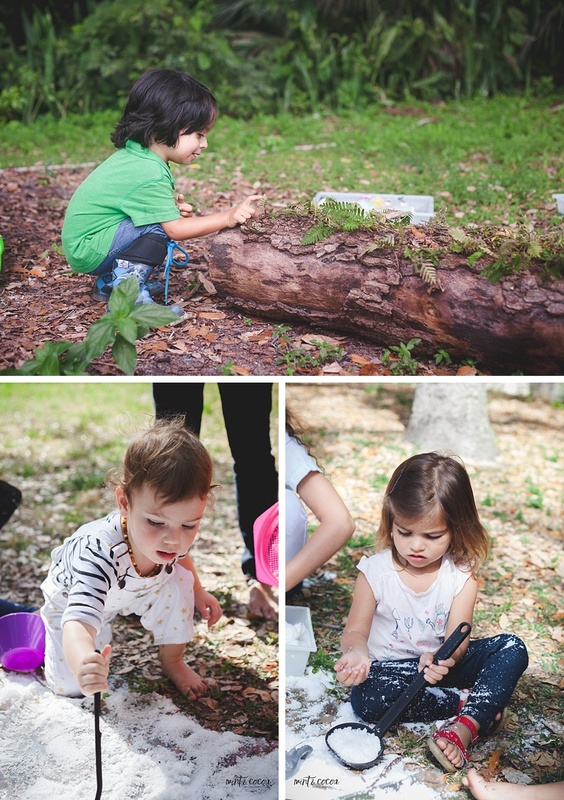 Adventures in the Forest is an ongoing program offered on Saturdays at the Enchanted Forest in North Miami. One day activities designed to respond to community needs, bring families together, foster a sense of community and all while deepening their connection to the natural world.